Landed in the water below, originally uploaded by Lorimae Undercroft. Flew around, then crash landed. The swans got out of the way, whew!! It’d be all.. nuuuuu!!!! if I harmed a swan. Swangs get angry about that kind of stuff. They visit your land and pick on your lawn geese, pee in the lake, and eat all the cupcakes. It is so not pleasant. Skydiving for RHscouts, originally uploaded by Lorimae Undercroft. I think I will make this a more common SL hobby, this is fun :) I always mean to go do this, but then I just go leap off my skybox and take photos of myself before hitting the ground. SL seems to have gone offline! It’s been about 30 minutes now where the logins, xstreet, forums, all down. So no adventuring tonight. I’m going to sleep instead. I was at XD Fusion (the puppeteer shop) trying to load the tutorial section. Nothing was rezzing then BAM! Offline! I am trying to make a desk with several drawers that open on click. I’m not understanding how it’s done from the 7.0 notecard in my kit. I need to check some earlier version notecards maybe. I thought we could do multiple animations like that in one project? Maybe not though. 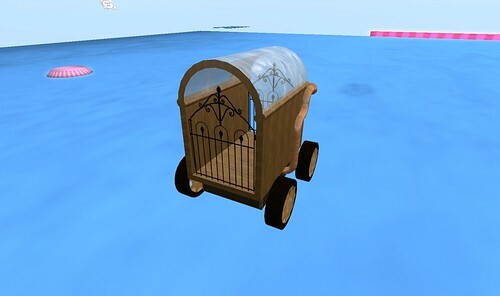 My old cat carrier vehicle, originally uploaded by Lorimae Undercroft. I forgot about this one until I was looking for a car script. It needs a bit of work though, my AO has changed since I made this originally two years ago. It originally fit both my Siamese and Tuxedo (metamorphosis) Quad kitty shapes, but I just tested it. I sit too low now. It’s all prims and the front wheels turn slightly when turning too. I remember spending a LONG time on this thing. I think I’ll redo it in some sculpts and then find me a road to ride! The biggest trouble was the bubbles triggering out the exhaust on move, and the doors constantly re-aligning if someone opened them. I’ll skip the doors and just make them always closed. I am so not down for that hassle! My latest cat "carrier" project, originally uploaded by Lorimae Undercroft. My new vehicle in progress! Sculpted all the parts today. Now I’m getting the vehicle script sorted out, then I’ll maybe puppeteer it, and then I’ll texture it. Hmm.. these surveys always seem to lead up to something big changing. This came in an e-mail with a link to the survey. I checked headers, the e-mail seems official. Whether or not that big change is good or bad remains to be seen each time, but here’s what I was asked. I think I got all the questions/answers added in. Did you get one too? I think the questions aren’t open enough. I don’t technically “own” land, as in I do not have Mainland property. However I have “owned” (as in rented from Zayn) for… what.. two years now? I don’t know how long really, but a long time! So what’s the proper answer, yes or no to owning land? Probably no. It gives a false result on the survey I think. Many shop owners don’t own land, they rent booths instead. Do you run a business selling virtual goods in Second Life? 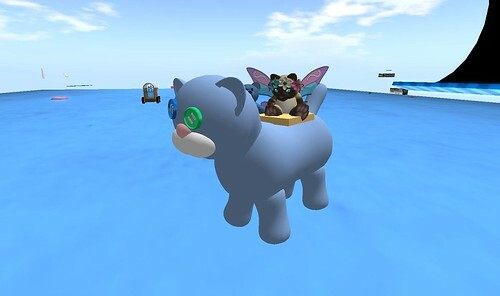 How long have you been using Second Life? How long have you run this business in Second Life? Is your business a primary source of income or more of a hobby? Approximately what % of your business (revenue) comes from items sold directly on XStreet? Approximately what % of your business (revenue) comes from items sold directly at inworld locations? Approximately how many different items do you have for sale on XStreet? Approximately how many different items to you have for sale at inworld locations? What types of items to you sell the most of (consist of highest % of total transactions)? Do you own land in Second Life? How likely would you be to recommend Second Life to friends and family? How likely would you be to recommend starting a Second Life business to others? 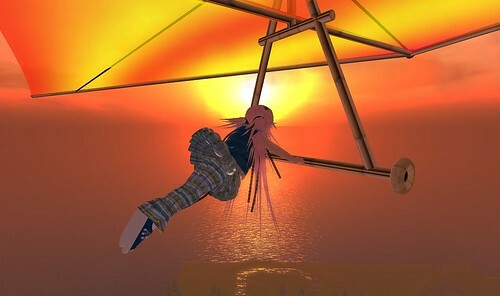 How could Linden Lab most effectively help you to run your Second Life business? Added another texture set, originally uploaded by Lorimae Undercroft. Yeah we do safety dance! And we do it cutely <3 Thanks to Pyewacket Bellman for making a cute movie! We danced around in the Silica Cubicle! 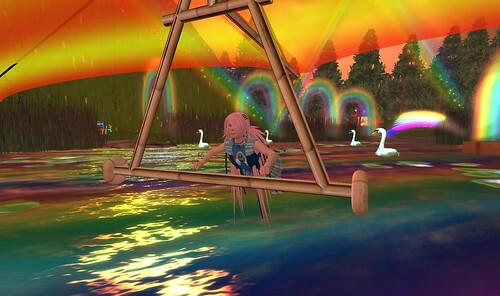 That's the sandbox for Raglan Shire, it is not for potties even though it is a sandbox! I get confused sometimes. Meow. Art Walk on the Shire! It’s coming up soon! If you want to show some art or sculptures, go sign up so they know how much prim space to allot for the art walk! You can read about it at the <a href=”http://raglanshire.com/“>Raglan Shire</a> website. It is free and you don’t have to be tiny, you can be whatever as long as you like art and are able to keep the PG sim rating in mind! If you don’t want to show, be sure to come visit it at least. There’s gonna be lots of stuff to see. I processed some photos today and out of all the ones I’ve taken recently, so far only 11 are what I’m after. ARGH! Two that I just thought would be so great were not fitting in after I finished the post processing steps. They don’t work well with the other photos, still great on their own though. Tonight I’ll see about finding the final four around the grid. I have a few more specific sims to visit in search of the right photos. 15 arts (one prim each) can be shown, as well as three sculptures, yay! I’m debating if any need another edit done or not. I had a great idea that I may try out on the sculptures to see if it changes the effect in a good way. Top secret and all! You’ll get to see them soon. I’ll compile a list of LM’s to all the places my photos are from so you can go visit too. Maybe you can find the same spot my photo was taken from! Sculpted letter A, originally uploaded by Lorimae Undercroft. 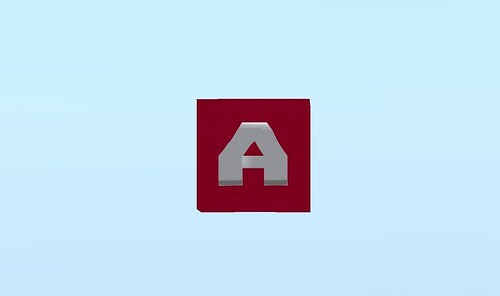 Just the "A" is sculpted, not the red box.